On Thursday, 16 October, the General Assembly will elect five new non-permanent members of the UN Security Council to two-year terms, starting on 1 January. These new seat holders will succeed Argentina, Australia, Luxembourg, Rwanda and South Korea whose terms conclude this year. The seats are allotted by regional groups, so the election by the General Assembly will be to fill two states from Western European and Others group (WEOG), one African state, one state from the Latin American and Caribbean group, and one Asian-Pacific state. 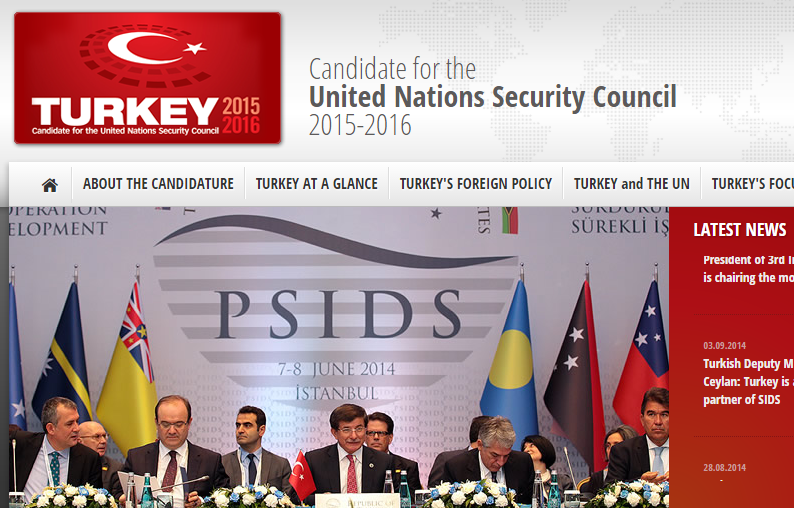 This year’s candidates include Angola, Malaysia, New Zealand, Spain, Turkey and Venezuela. Candidate states often seek out regional endorsement, which practically guarantees their election. Angola, Malaysia and Venezuela have each secured the endorsements of their respective regional groups and face no regional rivals. The real action will be in WEOG as Spain, Turkey and New Zealand compete for the two remaining seats. Despite Turkey’s hosting of several Pacific states in June, New Zealand received the endorsement of the Pacific Island Forum in August. Former president Jose Ramos Horte also noted that Timor Leste will back its fellow small island state’s bid. The country will lose a few votes however due to its resistance to specific calls for Israel to join a nuclear weapons-free zone in the Middle East (ironically, New Zealand has been a NWFZ itself since 1984) as well as perpetual rumors that Helen Clark may stand for Secretary General in 2016. Coincidentally, it was Clark who as prime minister initiated New Zealand’s bid in 2004. The small island state has a large disadvantage in comparison to its competitors’ ability to engage potential supporters. 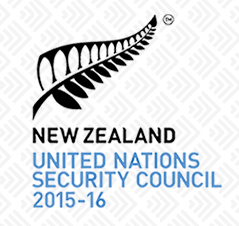 As a small economic power, New Zealand is “a country that can’t buy our way onto the Security Council and we shouldn’t seen to be trying,” as McCully has noted. Despite Australia throwing in $30 million to its neighbors’ campaign, that country’s successful bid for a WEOG seat last year is likely to actually be a factor in New Zealand losing this year’s contest. Spain launched its campaign in 2005, immediately following its departure from the Council during the 2003-2004 term. The Foreign Ministry developed a campaign portal on its website laying out its qualifications for the seat, a candidacy brochure in multiple languages and an English language Youtube video. Foreign Minister Jose Manuel Garcia-Margallo met with African leaders during the AU’s summit in early January where Angola received the continent’s endorsement for the single African seat. Later this summer, Garcia-Margallo met with ambassadors from Eastern European and French-speaking African states in New York, joined by Queen Sofia for some increased publicity. In September, Garcia-Margallo announced an endorsement received from Sri Lanka during his visit there. He attempted to woo support from the Pacific Islands during its forum in August, but concerns over Spanish ships overfishing in Pacific waters likely contributed to the members’ decision to instead back New Zealand. 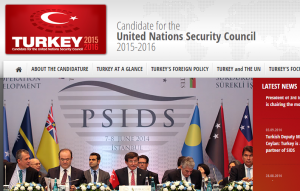 Turkey was a late comer to the race, announcing its candidacy only in April 2011. Like Spain, it had just completed a term on the Council (2009-2010) and was eager to get back in queue. Prior its announcement, it has endorsed New Zealand’s bid for this term. Its election in 2008 was seen as recognition of its rapid economic growth and more “multidimensional” foreign policy, including robust engagement with neighbors to its south and east. However, Turkey’s reputation in recent years has not remained unblemished. It was the only country in addition to Brazil to flout the Council’s effort to rein in Iran’s budding nuclear weapons program. The promised commitment to democratization that propelled it onto the Council has also failed to materialize since 2008. Among other domestic concerns, the government came under intense criticism this year for blocking access to Twitter, an act which drew comments from the spokesman for the UN High Commissioner for Human Rights. Nonetheless, Foreign Minister Ahmet Davutoglu has been fully engaged in promoting the country’s candidacy. In April, he discussed Turkey’s candidacy with 80 different ambassadors and representatives in New York, including African Group, Caribbean and Pacific island states. Over the last few years, Turkey has sought and secured observer or partner status in a number of distant coalitions, such as CARICOM, the African Union and the Community of Portuguese Speaking Countries. This continued outreach reflects its pre-2008 efforts and may again prove a successful strategy. Spain will emerge with a strong showing. The remaining seat will depend on the votes of small island states in the Pacific and Caribbean. If those align themselves with New Zealand, it will make the contest a tight race. The likely outcome will be Turkey edging out its rival by picking up the majority of African and Asian states, including all of its neighbors in the Arab world.